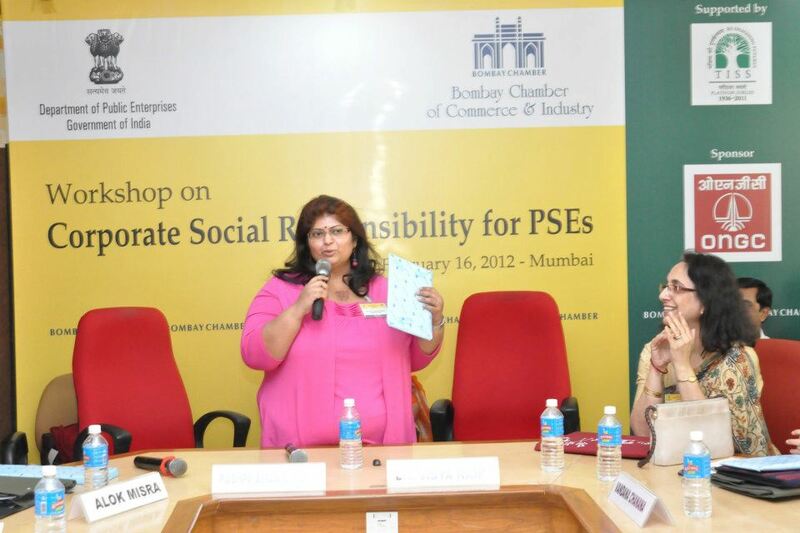 I was impressed that 64 participants from 22 PSEs turned up for a well-executed workshop on CSR for PSEs organised by Bombay Chamber of Commerce and Industry (BCCI) on Feb 16, 2012. I was even more impressed that it was not a business-as-usual day for the participants, far from it. There was serious and furious note-taking, coupled with eager questions, and as we took a break for lunch, that did not seem to affect the momentum of their enthusiasm – the questions and the knowledge-seeking just continued, unabated. To witness PSEs, the hard-core, multi-crore giants who set up public infrastructure facilities, move from being compliance-oriented to being triple bottom-line-oriented in spirit was inspiring! As the GuideStar India session on “Essential Elements of Partner NGO Selection and Measuring the Effectiveness” progressed, there were “Aha!” moments and there were takeaways. In the first segment we talked about why PSEs need to decide their specifications and criteria for selection before calling for applications - a one-size-fits-all approach, inviting applications from one and all, would backfire on the PSEs being overwhelmed with applications. It would also waste the time of NGOs that do not meet basic specs (cause/ location) in creating proposals. Also, PSEs need to explore the NGO data available on platforms (www.guidestarindia.org, www.Propoor.org, www.Karmayog.org), ask around, check with other PSEs, local corporate & Government institutions/other donors for references, etc. The soul of the presentation was to motivate PSEs to move from check-signing philanthropy to get-your-feet-dirty philanthropy. Equipped with local knowledge (social, cultural and geographical), resources, and hard-to-come-by project management skills, PSEs, by choice, can leverage that advantage to exert a lasting, deep, huge and path-breaking impact on local communities. They can choose to be fantastic enablers of community-owned projects by becoming supportive (as well as result-oriented), strategic and systematic in their engagement with NGOs. Additionally, one of the untapped dimensions in Donor-NGO partnerships is the financial and other benefits of co-funding with other foundations, grant makers and corporate entities: Co-funding opens up the project to efficient interdisciplinary knowledge transfer, leverages the strengths of existing robust partnerships, increases the depth and the breadth of interventions in a community, and leads to a more holistic, sustainable and high-quality intervention- in the truest sense, multiple donors come together, collaborate and complete each other, rather than compete against each other. For instance, in a post-disaster scenario, if one donor, limited by funding criteria could only construct houses, s/he could collaborate with another donor who could fund sanitation, and another for kitchen gardens etc. to result in a well-rounded intervention for the beneficiaries, because, an incomplete remedy - house construction without sanitation - can run the risk of spawning more diseases i.e. houses turning into slums due to improper waste management. Given the multi crore (1 crore = 10 million) annual budgets that PSEs are mandatorily required to spend on CSR, the key concern is of finding NGOs that can effectively implement programmes of scale. I impressed upon the PSE participants to also invest in NGO capacity building programmes and to fund the creation of infrastructure in the voluntary sector to enable effective CSR. This would mean supporting aggregators that address areas such as: mapping the sector, doing accreditations, building NGO capacities in strategy, governance, financial management and programme management. During the session, we also discussed about PSEs sharing their skills in procurement and project management to co create and co implement projects with NGOs by weaving in employee volunteering opportunities into projects. PSEs can also play a critical role in disaster preparedness and disaster response given the strength of their infrastructure, logistics and reach. 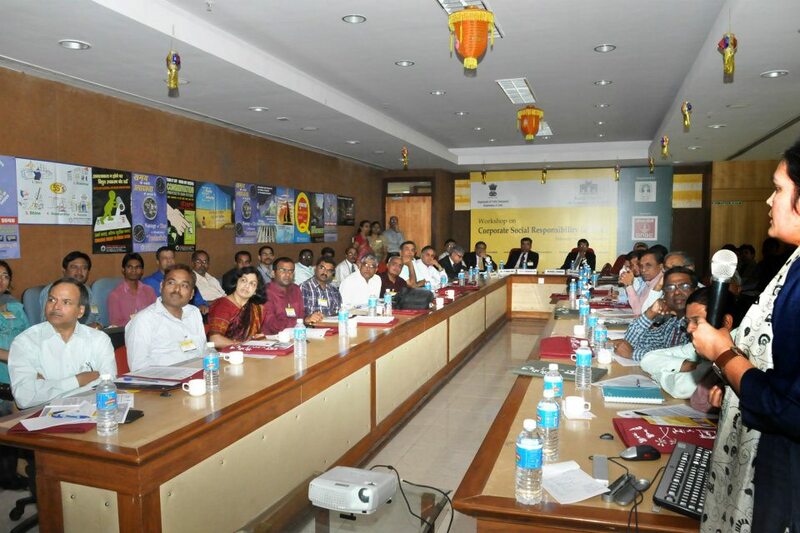 The Tata Institute of Social Sciences (TISS), which hosts the National CSR Hub, is the focal point for facilitating NGO Partner Selection and it is creating a pool of Empanelled NGOs. 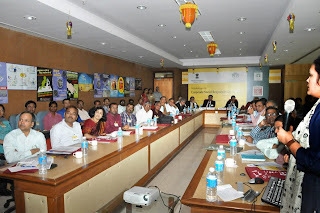 I urge TISS to build on existing data available with various aggregators and intermediaries such as GuideStar India, GiveIndia, Credibility Alliance, Propoor & Karmayog so that they can create a pool of NGOs quickly and it would save NGOs the trouble of resubmitting information that is already available and vetted by other organisations. Pushpa Aman Singh, CEO GuideStar India was invited by the Bombay Chamber of Commerce & Industry to do a session for CSR managers of Public Sector Enterprises on Feb 16, 2012 in Mumbai.